Vintage inspired weddings are always popular, begin your Roaring ’20s inspired wedding plans by picking out the perfect bridal ensemble. The ideal silhouette is a slender gown with a drop waist, made from layers of wispy chiffon,like wedding dress from Jenny packham. Slightly deeper shade would work of course, but also consider a gown in a slightly shade, such as blush, taupe, or cream. The original flapper dresses were known for their exquisite beadwork and embroidery, so definitely seek a wedding gown with special details. Ropes of pearl bridal jewelry are the perfect accessory, naturally. Pearl chandelier earrings would show beautifully with hair in a softly waved bob, whether it is real or faux (long hair pulled partly back). Chiffon dresses are also a must for the bridesmaids, in muted pale colors. As for the wedding decor, think elegance and style. Art Deco was the reigning design style in the 1920s, so look for streamlined rental furniture,wedding furniture in gold or plum, beveled mirrors, and geometric cut crystal vases. 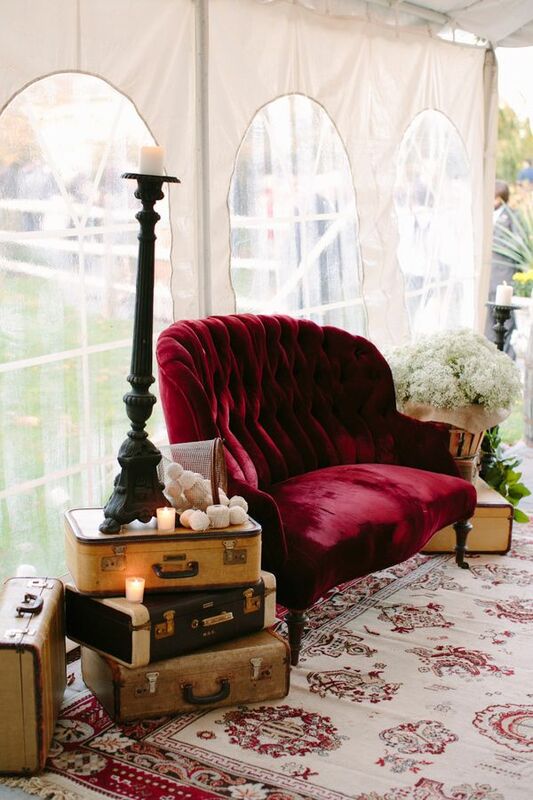 For Autumn wedding keep the color palette bold: plum, copper, and white mixed with dark wood tones would be fantastic. Deco style + Calligraphy lettering would be a very nice detail for the wedding invitations, menu cards, and place cards. Without a doubt, the Roaring 20s is one of the most chic and elegant vintage wedding themes around and would be perfect for Autumn wedding. 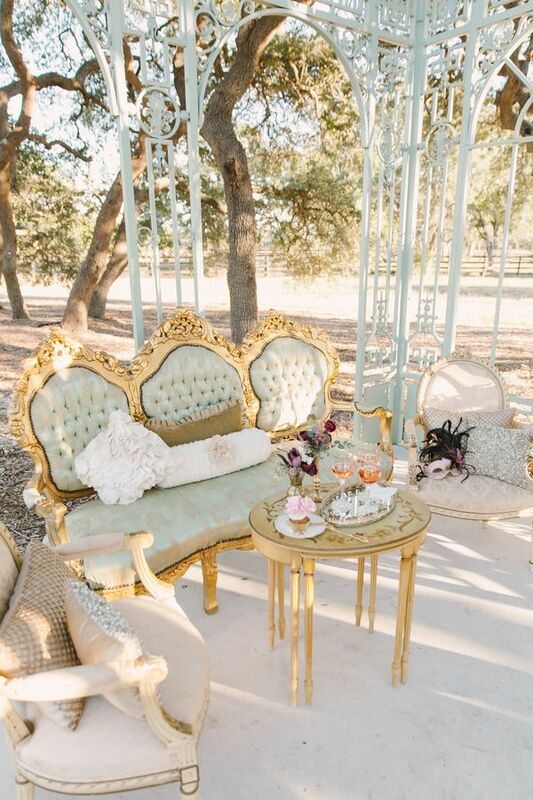 Something elegant Gold wedding palettes. Getting married in Autumn take a look at Autumn wedding palettes. 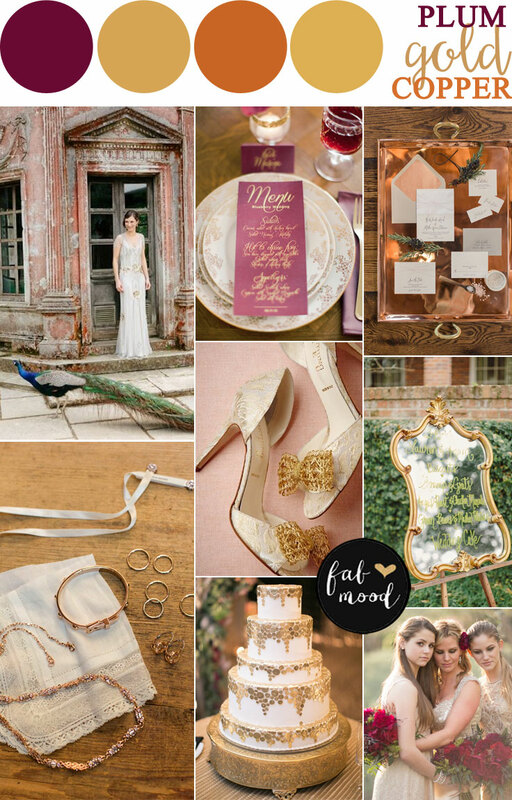 Have you seen Pantone 2015 for Fall Wedding yet?